ISIS jihadists have reportedly issued “eleven commandments” as part of a contract that guarantees safety to the Christian population living in the Syrian town of Al-Qaryatayn controlled by the terror group. ISIS has delivered an ultimatum to Christians from the city of Al-Qaryatayn in the southeast of Homs Governorate, which they captured last month, making them choose between converting to Islam, signing a contract, paying Jizya (a tax imposed on non-Muslims) or leaving, the Syrian Observatory for Human Rights reports. The ‘safety’ contract drawn up by Islamic State (IS, formerly ISIS/ISIL) leader Abu Bakr al-Baghdadi comprises 11 specific commandments that all Christians who decided to stay in the town must follow. The stipulations prohibit the establishing of churches, exposing Muslims to Christian religious symbols, undermining Islamic State, possessing weapons and trading pork or wine. 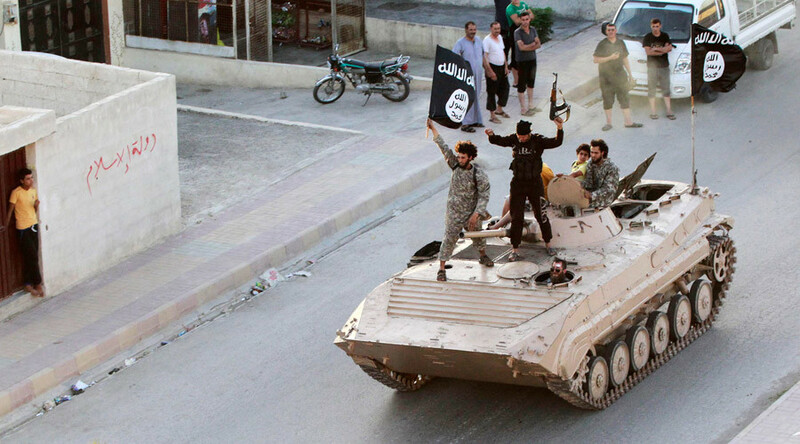 The jihadists published a series of photos on September 3 which showed that dozens of Christians had chosen to sign the contract and hence pay the tax. Islamic State soon received the money they requested. The terrorist group has taken away the IDs of Christians. Most of them are waiting to retrieve them and leave, according to the Syrian Observatory for Human Rights’ sources. IS has promised to protect them and their property. Christians will not have to convert to Islam and will stay safe, the group has said. If anyone fails to meet the terms of their contract, they will be treated as combatants. The population of Al-Qaryatayn is around 40,000, including Sunni Muslims and Christians, according to the BBC. The town is of strategic importance to IS as it links Palmyra with the Qalamun area.